Travel through desert scenery between Ayers Rock Resort and Alice Springs. Your Driver Guide will provide comprehensive commentary as you pass through the beautiful rugged scenery of the outback. View Atila (Mt. Conner). Stop at Mt. Ebenezer Roadhouse where you may purchase afternoon tea and locally made Aboriginal art. Travel along the Stuart Highway before arriving in Alice Springs. You will be dropped off at your Alice Springs hotel. Travel south through the MacDonnell and James Ranges. Your Driver Guide will provide comprehensive commentary of your surrounds. Visit a camel farm where there is time to take a short camel ride (own expense). Later you will have the opportunity to purchase morning tea and locally made Aboriginal art at Mt. Ebenezer Roadhouse. View majestic Atila (Mt. Conner) before arriving at Ayers Rock Resort. Travel through spectacular desert scenery from Ayers Rock Resort to Kings Canyon Resort by luxury coach. Pass through Curtin Springs and view Atila (Mt. Conner). After turning off the Lasseter Highway and onto Luritja Road your Driver Guide will provide informative commentary about the history of the surrounding cattle stations. Arrive a Kings Canyon Resort before dusk. You may have time to view the sunset behind Carmichaels Crag to finish off the day. Travel through sand hill country from Kings Canyon Resort to Ayers Rock Resort. Admire desert scenery while enjoying the outback journey with your professional Driver Guide. View Atila (Mt. 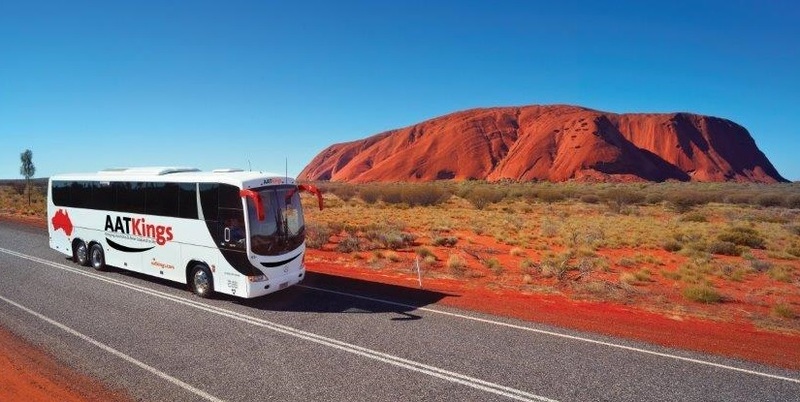 Conner), a significant sacred site, often mistaken for Uluru, and pass through Curtin Springs, a working cattle station operated by the same family since 1956, on your luxury coach. Look out for wild camels that inhabit the area. Travel through beautiful desert landscapes from Kings Canyon Resort to Alice Springs by luxury coach. Stop at Mt. Ebenezer Roadhouse for the opportunity to purchase afternoon tea. Take a wander through the Aboriginal Art Gallery to see some locally made craft. Continue on to Alice Springs along the Stuart Highway, as the sun sets in the west over the rugged plains. Let Emu Run transfer you from Ayers Rock Resort to Alice Springs on their comfortable air conditioned coach with onboard toilet. You will be collected form the Outback Pioneer just after sunset and arrive in Alice close to midnight. NB: There is no food/meals included in this service, but you will stop at Erldunda Roadhouse on the way so you can purchase food or drinks here. Guest cancellation within 24 hours of touring, incurs a 100% cancellation fee. Within 6 days to 24 hours of touring, incurs a 50% cancellation fee, plus the deposit. Tours must be booked 4 days in advance of the date of travel.